The keen eyed amongst the half dozen readers of this blog will have spotted that two of the wines from an epic dinner of last week – the Toneles and the AR – are from the select band of wines blessed with a “score” of 100 points by the famous Mr Parker (or in Spain, the great Mr Gutierrez). 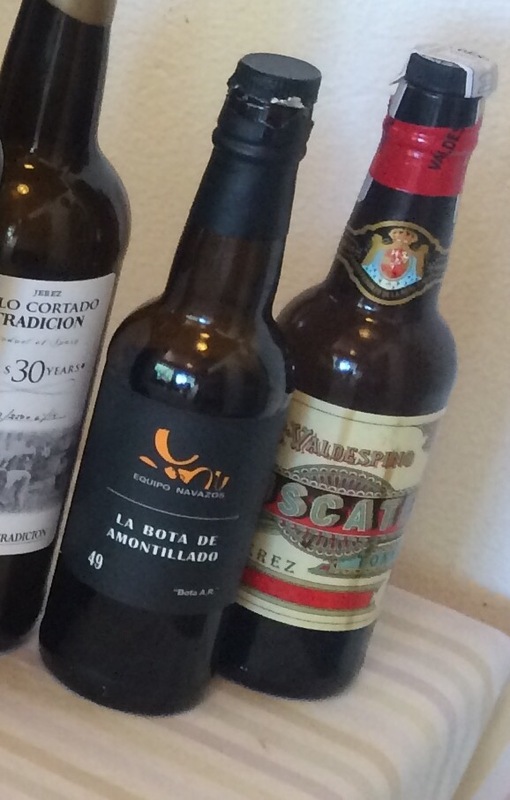 It was a pretty good dinner alright – and also an excellent demonstration of just how difficult this scoring business is – in particular, imho, in the world of sherry. Because the Toneles was just out of this world – something completely unique and amazing, for which 150 points would not have been too many and 100 points totally failed to tell the story. By comparison, the AR, while still unique and amazing in its own way, was left a little bit exposed. A lot of this would have been a result of the vast differences between the wines, and maybe it was unfair to compare. Indeed, colleagues (who had kindly contributed some stellar bottles themselves) explained to me that the points scale is not intended to provide for comparisons across genres. Still, it makes you realize how shockingly hard scoring wines really is. Tasted in a line up of other aged amontillados and palo cortados I am sure the AR would have impressed due to its power and range of flavours, but on its own it was a bit eye watering and didn’t seem balanced at all. On the other hand, how can you hope to make sense of the subtle differences of similar wines other than by tasting flights together? A number of friends have suggested I start putting scores on here for the wines I taste. Last week confirmed my suspicion that it is not nearly as easy as it seems.